Several months back I wrote a review about a bakery in Scranton which was causing a stir by bringing authentic wood-fired Neopolitan pizza to Northeastern Pennsylvania, an area that is sorely lacking in this genre of pizza. 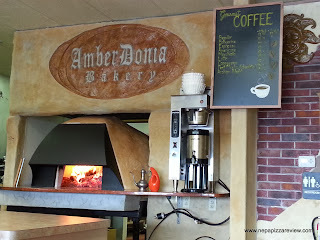 Amberdonia Bakery in West Scranton successfully brought high-end wood fired pizza to the area, and I along with my fellow pizza enthusiasts (a.k.a. "snobs") welcomed the wood-fired goodness with open arms. This is the type of pizza that gets coverage in national rankings because of its high quality ingredients, difficulty to prepare and cook, and wonderful complex flavors. 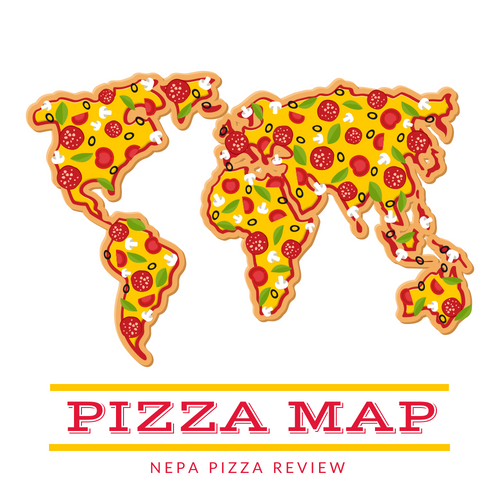 Although NEPA is home to a very high concentration of good pizza, I might argue that we are lacking a huge amount of GREAT pizza. That is not to say we don't have great pizza, but read about Los Angeles, New York, Chicago, or even Philadelphia pizza, and you will find a lot of pizzas which aren't cooked in standard gas ovens and aren't prepared with middle of the road ingredients. So Amberdonia adds something to the mix to diversify the NEPA pizza selection, satisfy the pizza snobs, and gives us something that looks and tastes like it measures up with the pizzas from the big cities. NOTE: Amberdonia Bakery has closed its Dickson City location and now has locations in Kingston and Wilkes-Barre. With that being said, I heard from my sources that Amberdonia was looking to expand to Dickson City in the small plaza across from the Viewmont mall. I drove there immediately to check it out, and saw that in fact Amberdonia was working on opening a second location. After several weeks, I was out shopping in the area and saw the open sign was lit and they were finally open for business! I wasn't even hungry, but I swung the pizza mobile into the plaza anyway because I had to try it out. When I walked in, I looked straight ahead and saw the brand new wood fired oven. Its open construction allowed me to view the flames billowing from the logs inside. I also noticed that this store had several tables so that I could comfortably dine in if I chose to. 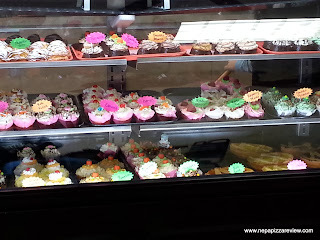 The pastry and desert case was full of colorful and tasty looking treats, so I was totally distracted by all of this external stimuli - basically I was in culinary heaven. The pizza guy greeted me and I snapped out of my daze. When he asked what I would like, I pointed to the sign displaying the wood-fired margherita pizza and requested one for the road. 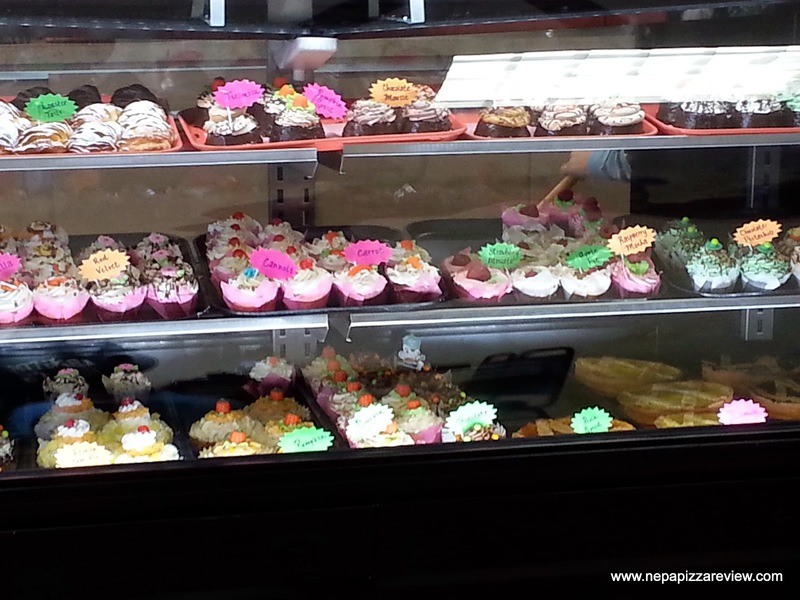 Interested in finding out where Amberdonia's amazing oven came from? 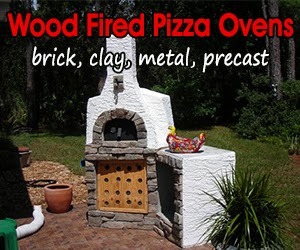 Check out Grills N Ovens! I watched him carefully prepare the super fresh and flimsy dough, spread the sauce, apply the fresh mozzarella cheese, and sprinkle the fresh herbs on top. After he slid in in the oven, I asked how long it takes to cook in the wood-fired oven, and he responded "a minute and a half to two minutes." That's insanely fast, but it's also an insanely hot oven! Since the cooking time was so short, our conversation was very brief, but I appreciated how friendly and customer service savvy the gentleman was. He boxed up my pizza, I paid for it, and I went on my merry way. Just like my previous Amberdonia review, I taste tested this pizza in the pizza mobile. Since I reviewed the exact same pizza last time, I encourage you to check out my review of that pizza here so I don't duplicate the review. In my last review, I was very excited about the prospects of the pizza, but there were some things that I thought were just good, not great. I had three concerns last time which were slight undercooking, slightly chewy dough, and the proportions of the ingredients weren't perfect to my liking. This time all of those concerns were addressed! The crust was so light, so crispy, perfectly cooked, nicely charred, and had such wonderful flavor. I could have eaten the crust only and would have been satisfied. The wood flavor was subtle, but I could really taste it. The tomatoes and herbs were so fresh and flavorful, and contrasted ever so perfectly with the fresh mozzarella cheese. The balance of flavors was spot on, this pizza was cooked perfectly, and I found myself wanting to eat the entire pizza even though I wasn't even hungry. For the record, I did control myself, but it is quite easy to eat an entire pizza even if you aren't a big eater. Overall, I have to say this was a great pizza and was a big improvement over the last time I had it at the Scranton location. For those who are looking for a value pizza with a bunch of cheese and a thick crust - this is not for you. 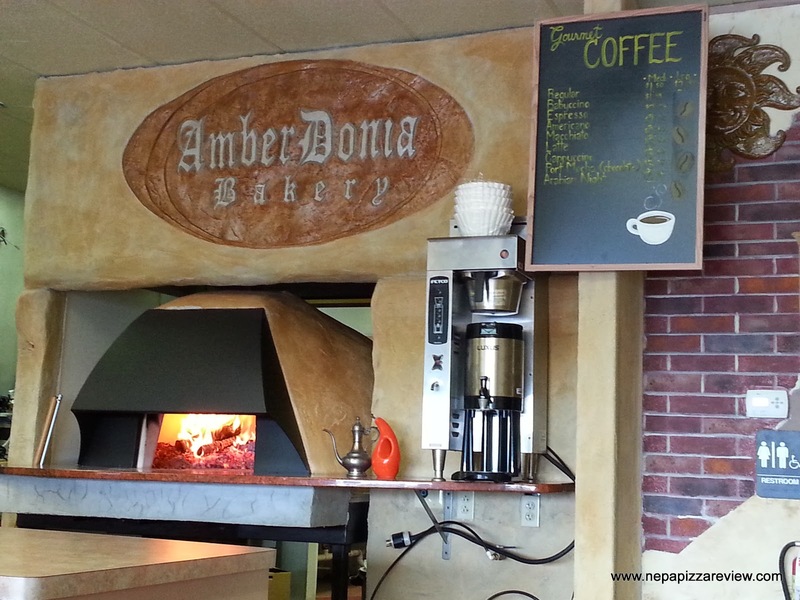 For those pizza lovers who don't mind paying a few extra bucks for a high-end pizza that is not readily available in this area, I would absolutely recommend heading to Amberdonia Bakery in Dickson City or West Scranton very soon! I give it a perfect 5 out of 5! Check out what the Keystone Pizza Critic has to say about Amberdonia. We teamed up and did a joint pizza review. If you are a restaurant owner or pizza enthusiast looking for a high quality wood fired oven like the one that Amberdonia used to create the masterpiece that I reviewed above, do yourself a favor and check out Grills N Ovens!